Offering guests convenient ground-floor access, nearby the pool and barbecue, and just steps from one the best beaches on Maui, it's easy to see why guests return year after year to this wonderfully appointed vacation home. 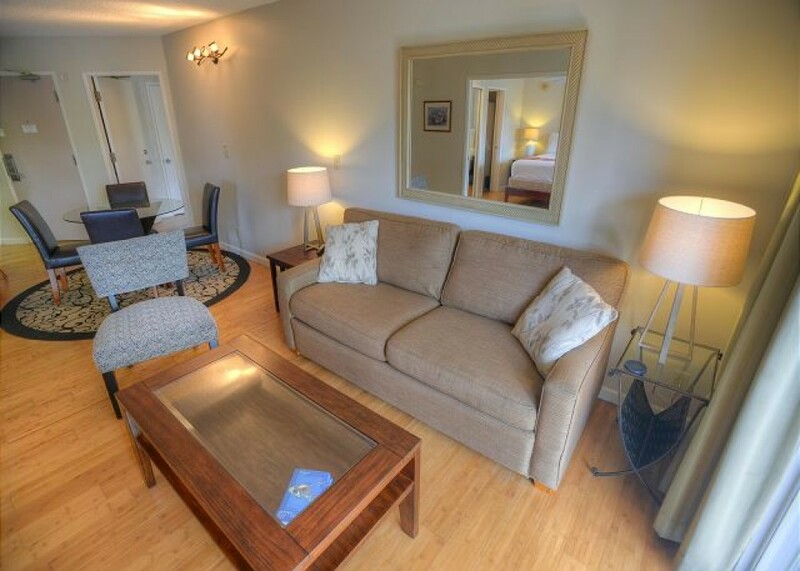 The owners of this lovely condo have appointed it well with new furnishings and modern amenities, and have taken the care and consideration to renovate it for optimal guest comfort. Featuring two new king beds, this condo suits two couples. Each bedroom features its own private en suite bathroom, each tastefully remodeled and sparkling clean. An additional pull-out sofa sleeper, allows for additional children, or the occasional overnight guest (newly purchased late in 2014). A/C in each bedroom, as well as the living room, ensures year-round comfort, and large screen doors in each bedroom allow for optimal air-flow on cool Maui nights. The kitchen in this vacation home is well-stocked with all necessary cookware and utensils. New cabinets, stone counter tops, tasteful backsplash and new tile flooring, in addition to newer stainless steel appliances make this kitchen a chef's dream. You'll have all of the necessary equipment to prepare and serve meals at home. Exhausted from a full day of fun? Skip the meal preparation once in a while and visit one of the highly-rated restaurants within close walking distance. The Maui Banyan Resort features two swimming pools, complete with spacious pool decks, hot tubs, outdoor showers, and restroom facilities. Several propane grills are available for guest use, adjoining the covered dining areas, furnished with tables and chairs for poolside lunch or dinner. Nearby, a regulation tennis court is enjoyed throughout the year by visitors to the Banyan, with equipment rentals available at the front desk. This property is beautifully manicured for the true tropical island feel of Maui. Across from one of Maui’s top-rated white sand beaches, Kamaole Beach II, the location of the Maui Banyan cannot be beat! Steps away from sand, surf, and fun in the sun, you’ll find everything your family needs for the ideal Maui vacation right here in the heart of South Kihei. We’ll even provide you with the beach chairs, beach towels, and beach umbrella for your days of soaking rays and splashing in waves. Nearby, Fred’s Mexican and Moose McGillycuddy’s are fan-favorites for sports broadcast and cold beer, while 808 Bistro and Café O’lei offer world-class dining in an intimate setting. Shops, local grinds, and grocery are all well within walking distance of this centrally located resort. 20% non-refundable deposit to hold a reservation. Balance due 45 days before check-in. Holiday and peak season rates and required length of stay may be different than quoted above. Credit cards, checks, and money orders accepted. Minimum night stay varies among the rental units.